It’s freshman year at Bolton College, and life has unexpected surprises for talented Maggie and dedicated Pike. Magic happens when they meet—for four beautiful years, they are inseparable. Maggie struggles with her ambition to be a painter, but she knows she loves Pike. He strives to overcome his disorganization and focus on his goal to be a writer and a teacher. Through all their ups and downs, they know they love each other…until an unforgivable betrayal rips them apart right before graduation. But their story still isn’t over. 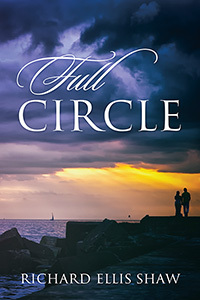 Follow Pike and Maggie’s tender, heartbreaking, deeply real romance and watch as they learn about wisdom, healing, and how to come to terms with the past, until their different paths bring them back where they started: Full Circle. Richard Shaw has been dedicated to the art of writing since childhood; at the age of eight, he read one of his stories to the neighborhood kids, and the magic of storytelling has stayed with him ever since. 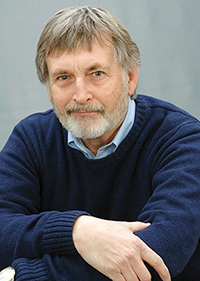 He has attended writers’ conferences in New York State and at the University of Iowa, and he is also the author of a poetry collection, The Heart of a Poet, and a book of short stories, A Tapestry of Life’s Journeys. He and his fiancée Brenda live in Illinois with their dog, Madisen.